School starts again soon! Wahoo!! For some of us that means sending your beautiful children off to school for another year. And for others it means starting another year of homeschooling or teaching. I fall into the category of the homeschooler. I currently am homeschooling 2 out of 3 of my boys, String Bean and Turbo (number #3 Chunky Monkey, is a toddler and so not ready for homeschooling). The printables I have for you today are perfect for those who homeschool or are teachers or like my son, (whose planner is shown below) wants fun stickers in his planner to let him know when he has fun things going on. I recently joined a Co-Op with some other homeschooling families. It’s so hard to keep track as to what days we have co-op class and when we go on a field trip, whether its with the co-op group or on our own. These cute flag shaped stickers are great for me to cut out and stick in my planner on those days where we have a co-op class day or a field trip day, so I don’t forget and accidentally not show up to co-op events. The other printable I have for you are subject headers for teachers or homeschoolers to lesson plan with a little bit more pretty in their planners. I put the supplies needed and next week headers on the left side of my planner where there are some lines to jot down things. I felt that this was a great spot for making lists to see what is going to happen in the next week and what materials I may need for that week. I feel like the header stickers will help my planner be a tad bit more organized and easier to read. Plus, they make my homeschooling planner more colorful and prettier! And I like making things prettier! I started putting them in my son’s planner so it’ll be helpful for him to decipher my instructions for his schoolwork. He got mad because it wasn’t Harry Potter themed. *sigh* I guess I know what I will be doing this week. 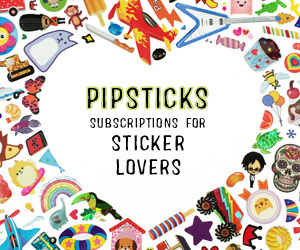 Anyway, these stickers are not just meant for those who have the MAMBI Happy Planners! They should work well for those who use different planners for lesson planning. If these stickers strike your fancy and want to try them out for you lesson planners, click on the pretty image below!